Once winter hits, it means one thing: Snow season! Packing for the cold always means thick coats, plenty of layers and mittens. Lots of mittens. If you're planning on doing much more than just hitting the slopes, we have you covered on what to wear from slope to chalet. Keep scrolling to see what to wear during your ski weekend! Only have a half-day pass for your ski weekend? 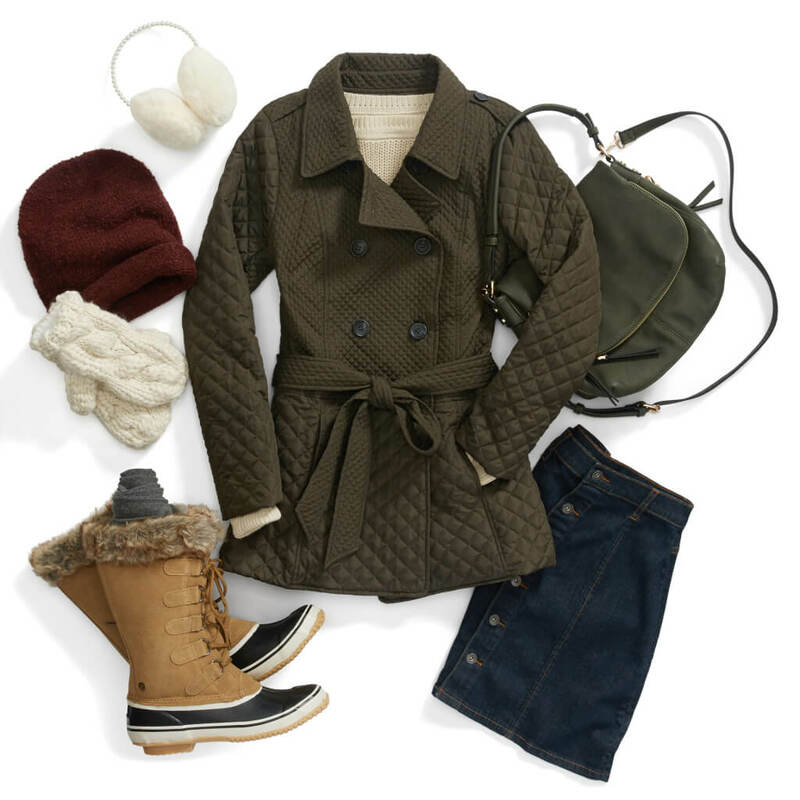 Head out for a snowy weather shopping excursion with a pair of tights, a chunky sweater and a puffer jacket. If you’re feeling brave enough, try out a denim skirt to brave the winter weather. Keep your hands warm with a pair of mittens and keep it hands-free with a crossbody bag! Work up an appetite? If you’re headed to the village for dinner, don’t skimp on the warm layers. 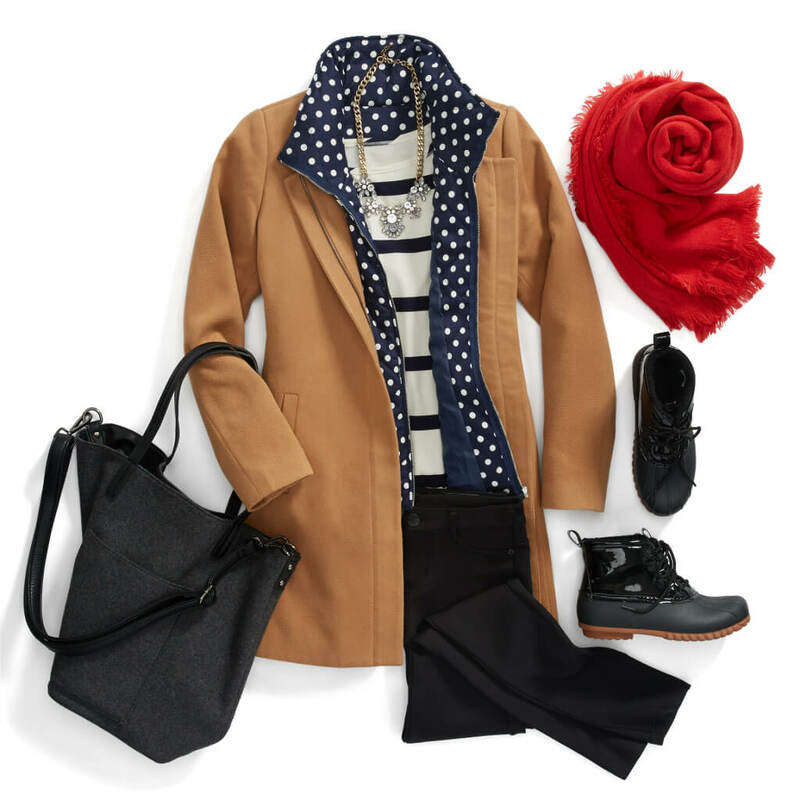 Reach for a sleek, wool coat to stay bundled up. Layer on a pair of skinny jeans and don your snow boots to trek through the powder. Try mixing prints by layering on a jacket over a patterned sweater. Don’t forget about a bold and bright scarf! Stylist Tip: Stay extra warm by layering tights (or long underwear) under your jeans! If you need to size up to make room—do it! Is the fireplace calling your name? Cozy up with the latest New York Times’ bestseller and a hot chocolate (or hot toddy) for a few hours. Keep yourself lounge-appropriate in an oversized cardigan & comfortable jeans (hi, four-way stretch!). Stylist Tip: If you’re staying inside, a pair of winter white denim is a crisp addition to your look. Just avoid the outdoors (and mud!) if you’re wearing light jeans. Are you planning on heading out for a ski weekend? 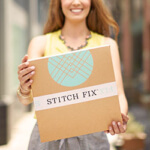 Be sure to ask your Stylist for cool weather picks!